Adding even more seduction to your clothing optional vacation with us, this beautiful and intimate room features a world of comforts such as a balcony or terrace and sitting area, bathroom with separate shower and bathtub. While Desire Pearl does not guarantee room requests, we try our best to honor them. The more general the request, the better chance we can accommodate it, ie ground floor or away from the spa. Requests for a specific room number are more difficult, but we will try to accommodate it. 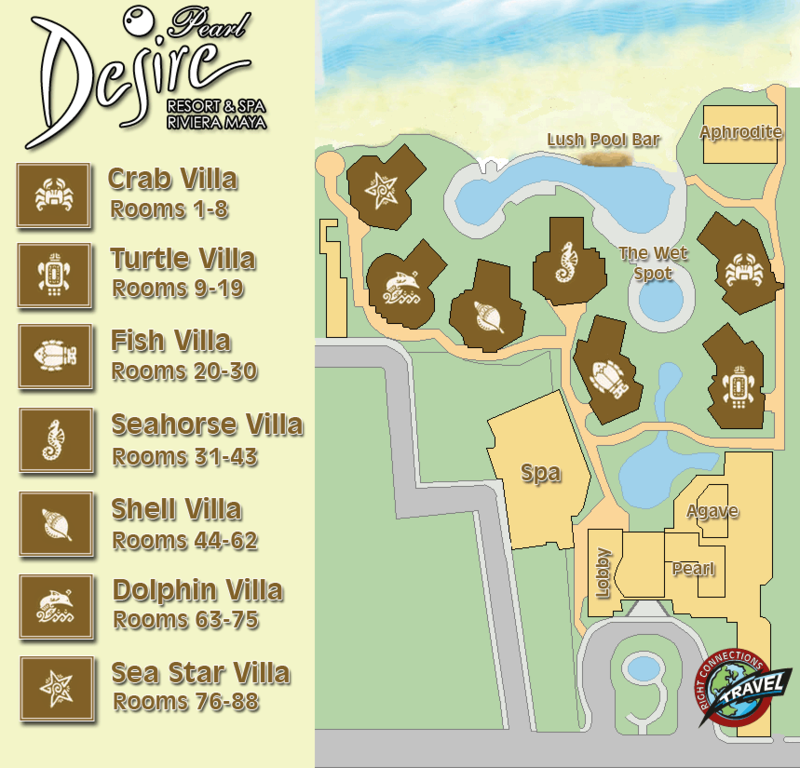 To help you with your requests, please view our Resort Map.